Is it time to stop bashing bankers? Continuing revelations of "cringeworthy behaviour" suggest not. Is it time to stop bashing bankers? Have the crooks already been biffed out of the ring? 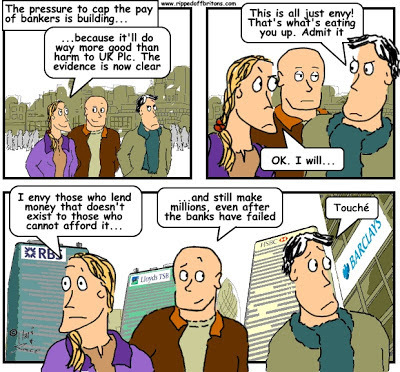 Are we just hindering the new saintly bankers? As they clean up after the few bad apples who spoiled it for everyone else? "The succession of [banking] scandals means it is simply untenable now to argue that the problem is one of a few bad apples. The issue is with the barrels in which they are stored." "I think there's quite a long way to go to really change the culture.... I think we are still going to see a lot of cringeworthy announcements." "A toxic culture decades in the making [that] will take a generation to clean up." This same report refers to an ethics study done in June 2013, several years after the banking crash, showing the big retails banks still swimming in a red sea of bad ethics. We end the list with "et cetera" because the report was written before the £2.6 billion in fines for FOREX rigging were imposed in November 2014. Doubtless there are more skeletons waiting to emerge from the banks' vaults. For example, the banks are still in denial about the destruction of small and medium businesses by the Interest Rate Swaps scam. 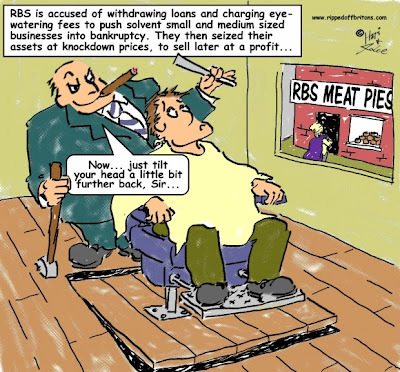 Though thanks to pressure from the Bully Banks organisation and reportage including television documentaries by the BBC's Panorama and Channel 4 News and others it is likely the banks will be brought to account. "The good news is that banks have made a positive start. The ‘tone from the top’ is there. But this alone is not enough. There needs to be a sustained focus on driving change down through all levels of the organization." The "tone from the top is there"!? Really? Do they really think there is an officer class of saintly bankers struggling bravely against a host of sinning lower ranking staff? Certainly it would be easier for the authorities to believe they have put "decent people" in charge, so the authorities can sit back and relax. However even if the people at the top now weren't at the top during the worst banking excesses, they were certainly at the next level down. Promoted over decades of banking rip-offs, up through the ranks for being really good at all those banking rip-offs. Their presence was made felt when in 2014 RBS was reported to have paid bankers in its Global Restructuring Group (GRG), accused of profiting by killing off UK businesses, £17million in bonuses. 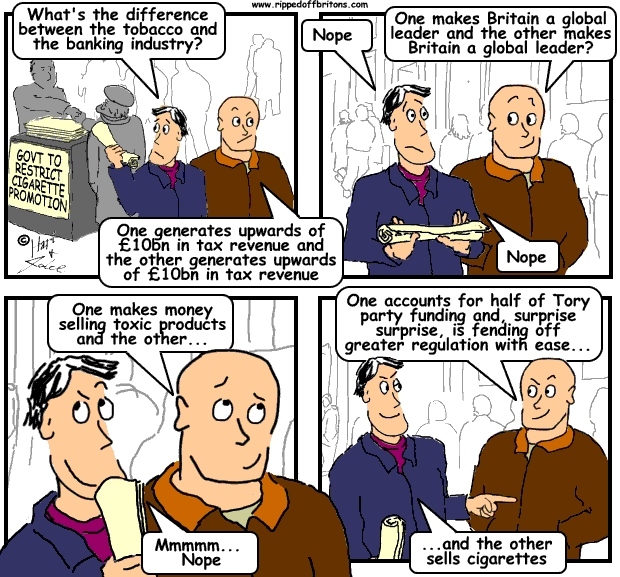 £17million for activities RBS bosses tried to smoke-screen when raised by Parliament's Treasury Select Committee. Resulting in a letter of abject apology from the RBS Chairman when the RBS top bosses were caught out. Nor does the British Government, who fought long and hard against EU plans to cap bankers' bonuses, only giving up in November 2014. Holding the trough up to bankers' noses wouldn't go down so well with the voters in the 2015 General Election. Why do crooks go to banks? Slick Willie Sutton, American bank robber, explained "because that's where the money is". As it was then, so it is now. People will be crooks if the rewards are great enough. Deal with the rewards, and the crooks will deal with themselves. Until that happens, it will be too soon to 'move on' from bashing bankers. Spot on - we need to keep this issue in the public's consciousness. At present, politicians and bankers are all hoping we have short memories and that the scandals of the last few years can be quietly swept under the rug. We cannot allow this.